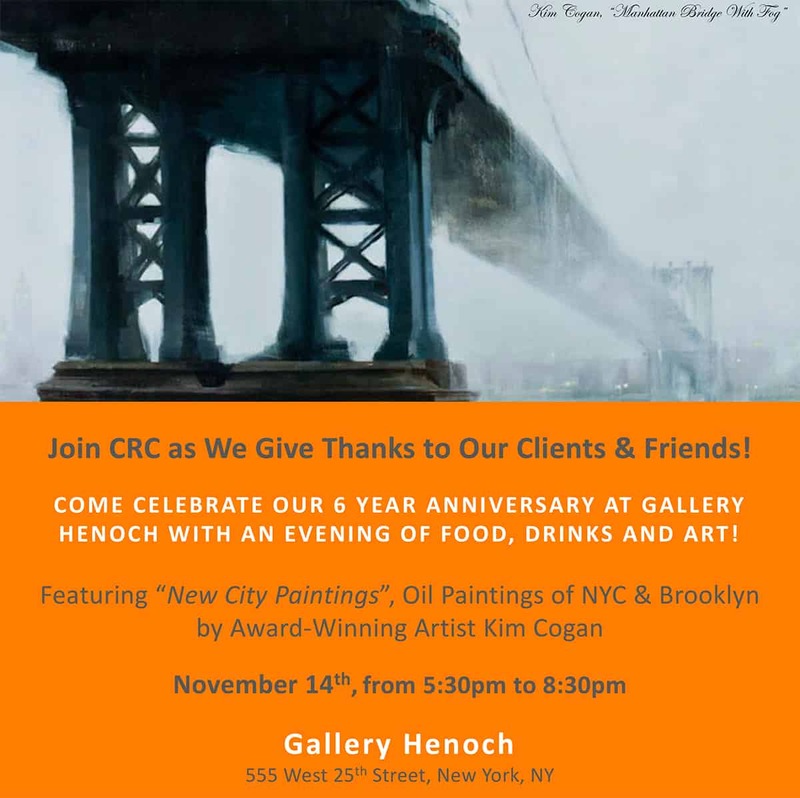 Come celebrate Compliance Risk Concepts’6 year anniversary at Gallery Henoch with an evening of food, drinks and art. Featuring New City Paintings, Oil Paintings of NYC & Brooklyn by Award-Winning Artist Kim Cogan. Use the form below to RSVP to our Anniversary Celebration event.